The number of Facebook fans is not a determination for a brand’s ranking. There are other important factors to obtain a spot in the Facebook Relationship Quality Index. Fathom Analytics describes four elements that identify the relationship with a brand. Of course, the number of Facebook fans partly matters, as well as the ‘momentum’, a factor based on how many fans are acquired in a certain period of time. Another element is ‘emotion’: a person can reflect their love or hate towards a brand. For measuring those emotions, MotiveQuest set up an analysis used by the Department of Homeland Security to track and monitor sentiments on the web. It is not remarkable that ‘loving’ (80%) occurs more than ‘hating’ a brand as it’s only possible for someone to ‘like’ a page on Facebook. Last but not least, fan engagement or the online interaction with the brand fan page is also an identification for the strength of a relationship with that brand. An example: although Starbucks has 10 million Facebook fans less than Coca Cola, they are only one point behind as a result of superior brand engagement with their consumers. 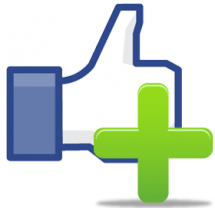 Another possibility to intensify engagement is to buy ‘likes’. Procter & Gamble did this by offering coupon offers to recent acquired fans of Tide. With this, they beat all other cleaning brands in the RQI.